Whether you need shredded chicken for a specific recipe or just like to meal prep and use it for a variety of reasons during the week, having it on hand makes for quick and easy meals. We’ve been regularly cooking 1-2lb of frozen chicken in an instant pot to turn into shredded chicken. Even if we don’t have a certain recipe in mind, shredded chicken is amazing for chicken salad, chicken wraps, chicken tacos, casseroles, in soups and mixed with pasta. 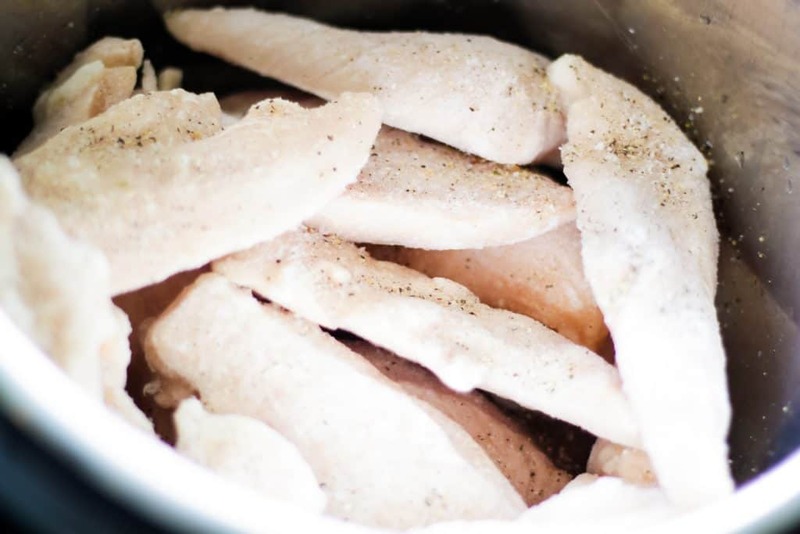 Cooking frozen chicken breasts or frozen chicken tenders in a pressure cooker is my favorite way to cook chicken I’m planning to shred. 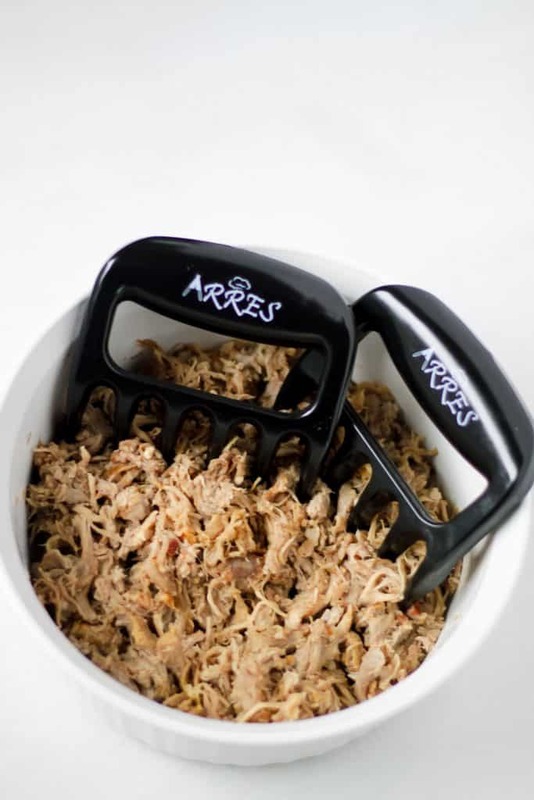 While this photo is actually of pork, I just wanted to share how cool the meat claws are–which is my husband’s favorite way to shred meat. As a matter of fact, he get’s excited when it’s time to pull out the meat claws! 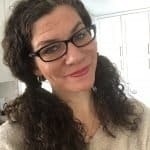 Before I had an instant pot, I’d usually cook chicken on the stovetop. If a recipe would work better with roasted chicken, than I’d use that cooking method instead. Cooking 1 -2 pounds at a time is usually what I do so I can make sure there’s lots of leftovers for the week. Are you wondering HOW we were able to shred 2 pounds of cooked chicken in only 20 seconds? With a Kitchen-aid mixer of course! You cannot find a device that’ll give you such a quick shred as a Kitchen-aid. I’ve had mine 19 years and it’s still going strong. Best wedding gift ever! Being totally honest here, I could NOT believe how quickly a Kitchen-aid mixer shredded the cooked chicken tenders so quickly. I assumed it would probably take 1 -2 minutes. If you’re using chicken breasts, a hand mixer, or a different brand of stand mixer, it could take slightly longer. But even if it takes over a minute to shred your chicken, avoiding the process of hand shredded is so very much worth it. Here’s our quick little Youtube video on making shredded chicken with a Kitchenaid mixer. Can you even believe how quickly the chicken tenders just fall apart and shred so easily? Freezing shredded chicken is super easy and a great way to keep extra on hand when you need it for a last minute meal. Put it in quart size freezer bags and squeeze the air out of the bag to help it last as long as possible. Frozen shredded chicken should keep for about 2 months. 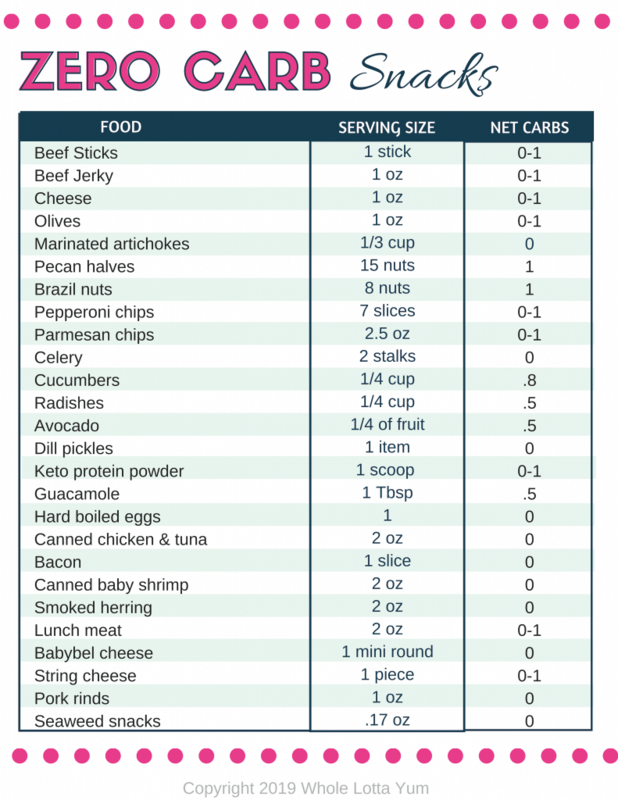 Most likely if you’re like me, all of your shredded chicken will be gone way before then and won’t be in the freezer very long at all! We also LOVE to use our Seal-a-Meal to store pre-cooked frozen chicken! Because it’s removing all of that extra air and vacuum sealing, you can store it in your freezer for even longer. Vaccum sealed chicken pieces will last in the freezer for about 9 months. 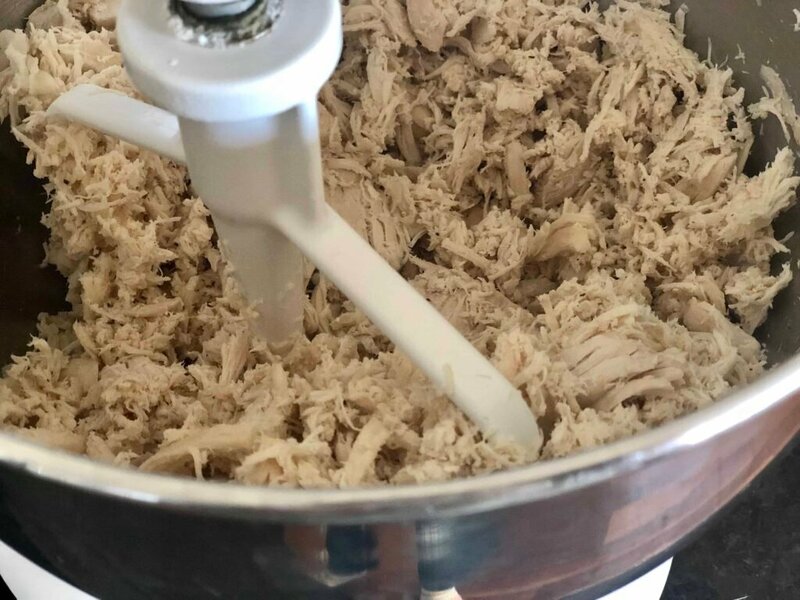 We hope you enjoyed our shredded chicken tips and tricks, are you a convert to making shredded chicken in a Kitchenaid mixer like we are too? 😉 So easy and simple!